Parque Tayrona is located in Magdalena, Colombia, about 34 Km away from Santa Marta. This park is one of the most well known eco tourism parks in Colombia. Parque Tayrona is located in Magdalena, Colombia, about 34 Km away from Santa Marta. This park is one of the most well known eco tourism parks in Colombia. The park offers different accommodation choices depending on how (well) you would like to sleep. There are cabins for 4-6 people, luxury huts ideal for a couple, and camping grounds for those who want to get closer to nature, either in tents or a hammock! 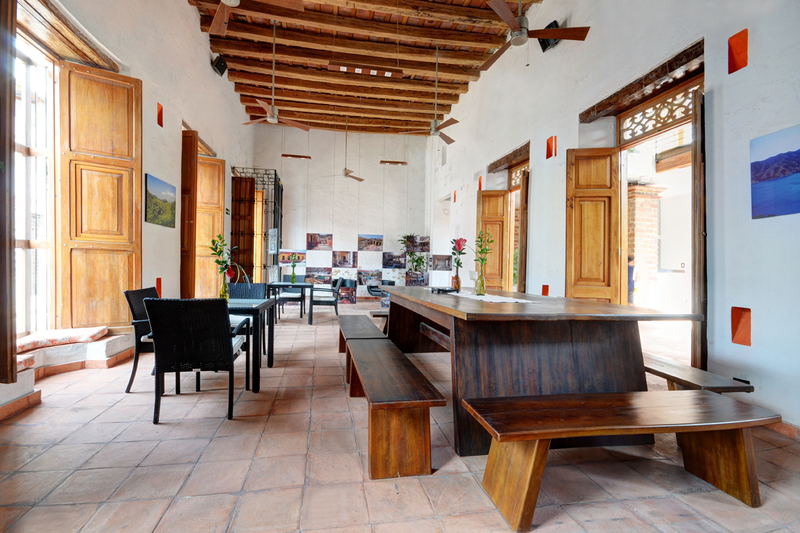 Parque Tayrona also has an auditorium, a restaurant and an interpretation center. If you want to relax and take a break, the park offers beautiful beaches with awesome views of the intensely blue ocean, with tropical mountains falling onto white deserted sands. For more exciting activities the park also has plenty of options; with ecological walks, snorkelling and scuba diving. The park also has archaeological remains of the ancient town of Tayrona. 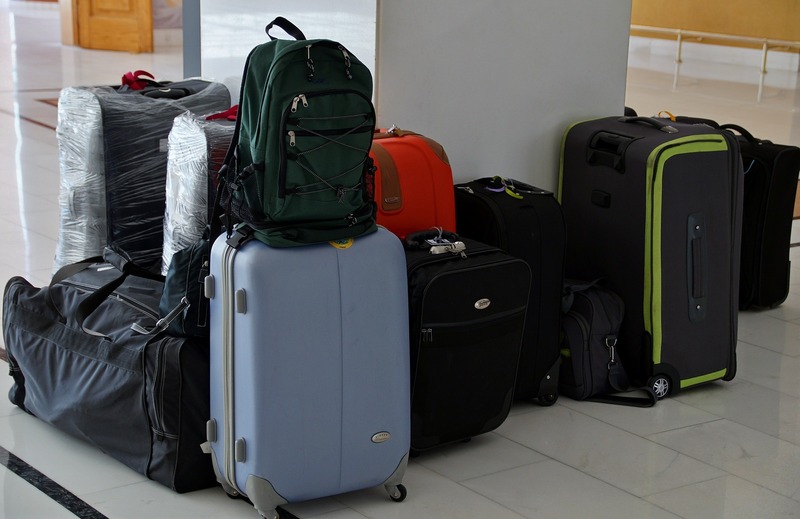 So what should you take in your luggage? Take repellent and a mosquito net if you are staying over night, you will certainly appreciate it! Yellow fever injections are recommended but not enforced. There is no malaria in coastal Colombia and Dengue is very rare, but the mosquitos can be vicious! Enjoy it! There are no dangerous animals, the people are friendly, the food and water are well prepared, the Parque Tayrona is totally safe, relax and have an amazing stay! On april 24th 1964 the colombian government passed a law in order to guarantee the preservation of the park. The resolution (N 191) implemented by the colombian institute of agrarian reform declared that the park was a protected area. This was done to protect the fragile ecosystem that inhabited the area. Parque Tayrona was once inhabited by the native people of tayrona, leaving behind clear evidence of their presence there. They had a small town within the area that was called “Chairama”. The marine ecosystem protected by the park contains over 350 species of algae. The terrestrial flora of the park is a bit more diverse, the park has over 770 different species of plants. The national flower is the orchid which is found abundantly in the Caribbean region. Parque Tayrona is getting more and more famous each year, and although daily entry and total capacity are controlled and limited, in certain peak seasons it can get crowded and visitors are even turned away. With tourism booming it’s a good idea to plan ahead, particularly accommodation which is very limited. The best months to be in the park are probably outside Easter and Christmas-New Year as it is that much less crowded. Off season you can find yourself practically alone on a paradisiacal beach. If you do decide to go in the high season, then make sure you book your flight and your accommodation ahead of time. It would be a shame to make the long trip and end up not having a place to stay or things to do. 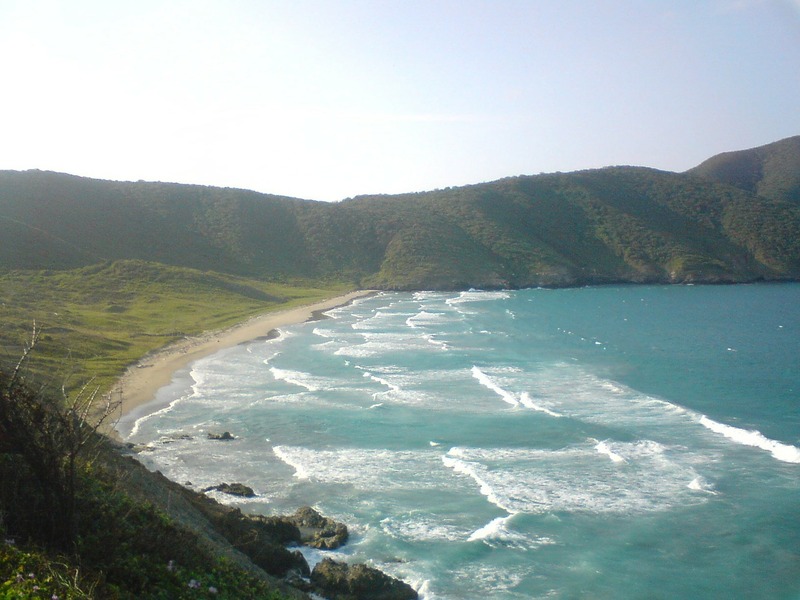 In order to get the full Parque Tayrona experience it’s recommended that you stay for at least a few days. 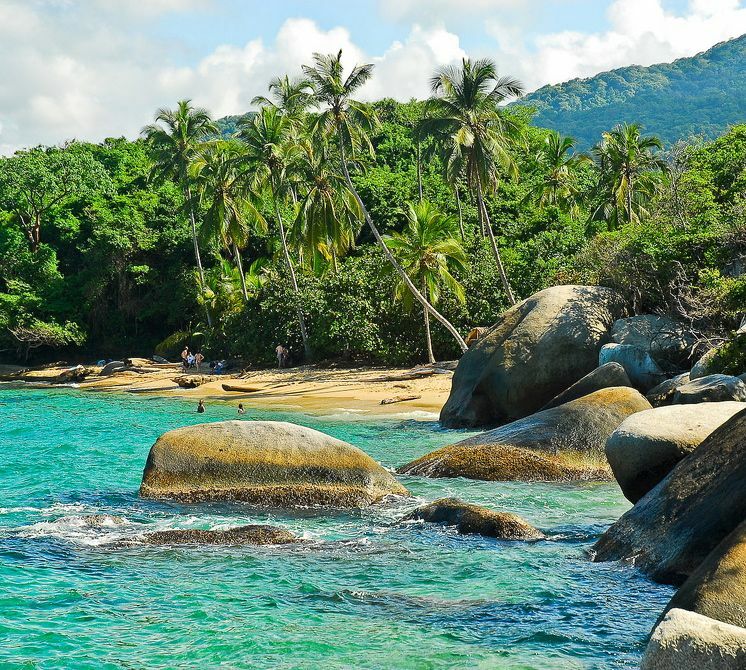 Experience the amazing Parque Tayrona in Santa Marta while staying at Hotel Boutique Casa Carolina. 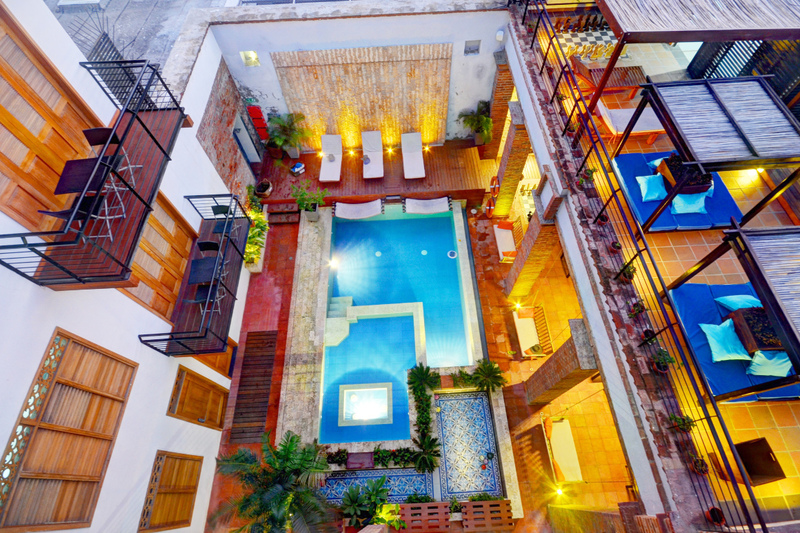 For lazy days, before and after the park; enjoy our pool, sun terraces, jacuzzi, spa and gourmet restaurant, Eli’s! 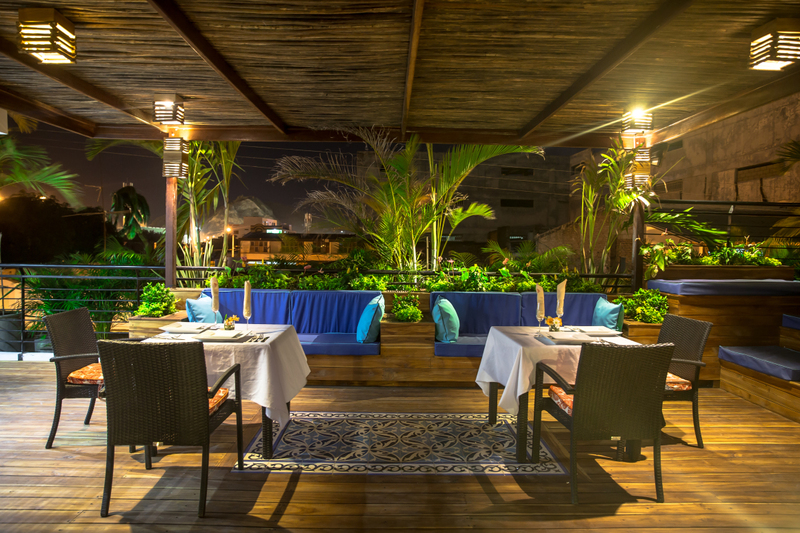 Take in the sunset over the ocean with your favourite cocktail at our rooftop jacuzzi. 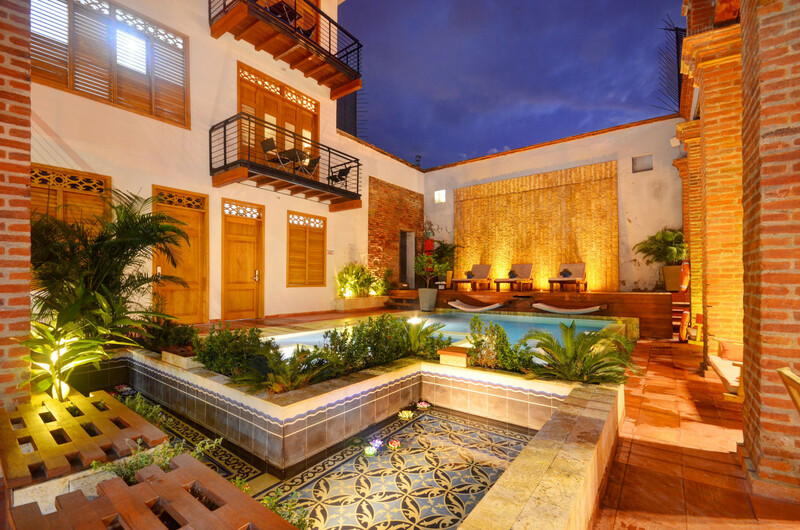 You will appreciate the luxury but friendly atmosphere at Hotel Boutique Casa Carolina, not least if you opted for a hammock or tent in Parque Tayrona!! 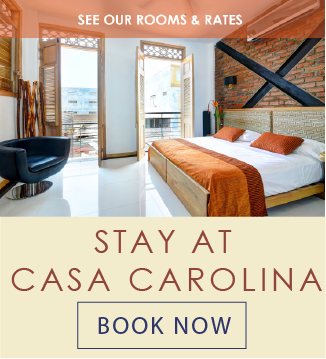 Contact Hotel Boutique Casa Carolina if you would like more information about Parque Tayrona in Santa Marta or about our hotel in Santa Marta. Contact us also for boat tours to Parque Tayrona. Our 24 foot speed boat, Samoa, can be private chartered or booked on a group trip to discover the most exclusive deserted beaches in Parque Tayrona. A private boat trip is absolutely the best way to visit the park!